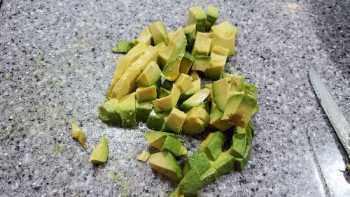 Looking for something GREAT to make with your Avocados? 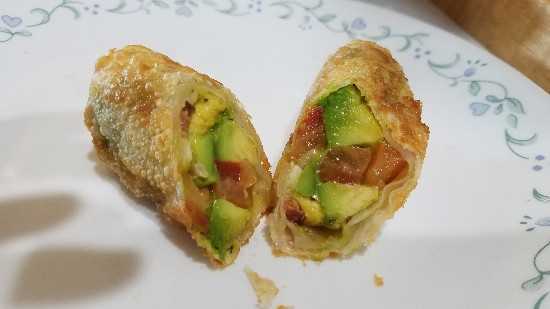 Avocado, bacon and tomato rolls are so delicious, everyone will want you to make them all the time! 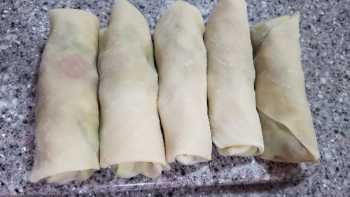 These are very easy to make and will be the hit at any gathering. 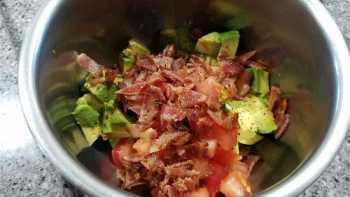 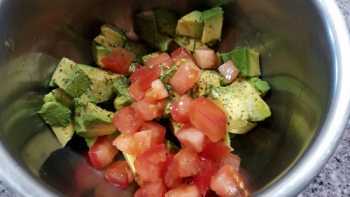 For this recipe I only used 1 larger avocado, 1 medium tomato and 3 strips of bacon and it made 5 avocado, bacon and tomato rolls. 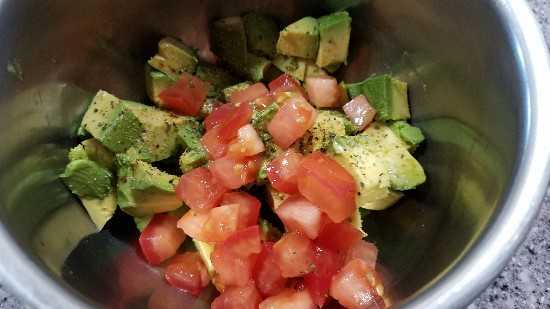 If you need to make enough for a large group, you can calculate about 5 rolls per avocado/tomato/bacon strips. 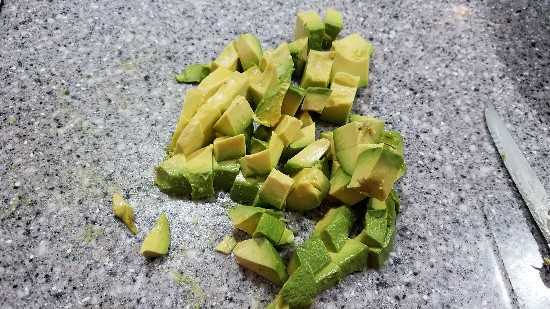 Cut your avocado in half and remove the seed. 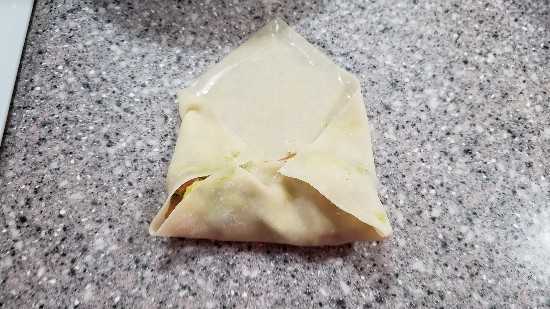 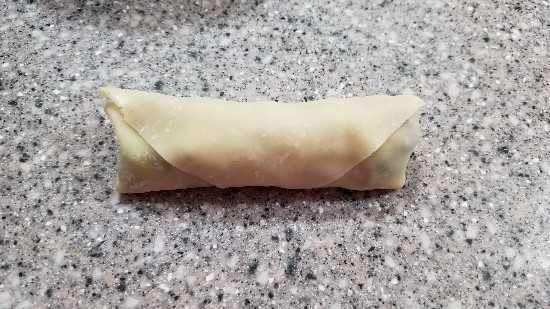 Peel the skin off and cut into 1/4 to 1/2 inch chuncks. 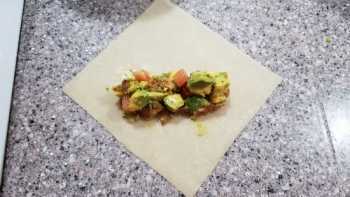 Place wrapped avoccado rolls in hot oil and fry until golden brown. 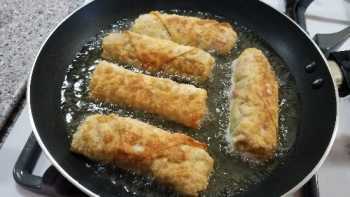 Serve with Ranch dipping sauce or any sauce you prefer.